Koen W. De Bock, Ph.D., Professor of Marketing Analytics & Digital Marketing. Koen W. De Bock is associate professor of Marketing at triple-accredited Audencia Business School (Nantes, France). He obtained master degrees at the University of Antwerp (M.Sc. in Applied Economics) and Ghent University (M.Sc. in Marketing Analysis) in Belgium, and obtained his Ph.D. from Ghent University, Belgium, in 2010. Audencia Business School is a fully-accredited grande école de commerce, offering under- and postgraduate programs recognized by the French government. 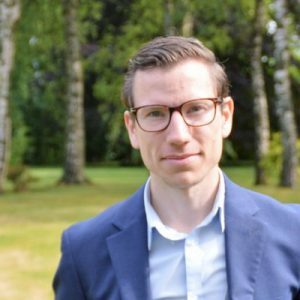 At Audencia, Koen De Bock is in charge of courses related to Digital Marketing and Marketing Analytics in multiple MSc programs. Since November 2011, he is a visiting professor at the University of Stellenbosch Business School (USB; Cape Town, SA). He has published in international peer-reviewed journals (see publications page) and collaborated on numerous business projects. De Caigny, A., Coussement, K. and De Bock, K.W. Lessmann, S., 2019 (forthcoming), Incorporating Textual Information in Customer Churn Prediction Models Based on a Convolutional Neural Network. International Journal of Forecasting. De Caigny, A., Coussement, K. and De Bock, K.W., 2018, A New Hybrid Classification Algorithm for Customer Churn Prediction Based on Logistic Regression and Decision Trees. European Journal of Operational Research, 269 (2), pp. 760-772 (link). Geuens, S., Coussement, K. and De Bock, K.W., 2018, A framework for configuring collaborative filtering-based recommendations derived from purchase data. European Journal of Operational Research, 265 (1), pp. 208-218 (link). De Bock, K.W., 2017, The Best of Two Worlds: Balancing Model Strength and Comprehensibility in Business Failure Prediction Using Rule Ensembles. Expert Systems With Applications, 60, pp. 23-39 (link). De Bock, K.W., Coussement, K. and Cielen, D., 2018, An Overview of Multiple Classifier Systems Based on Generalized Additive Models. In: Alfaro Cortes, E., Gamez Martinez, M, and Garcia Rubio, N. (Eds. ), 2018, Ensemble Classification Methods with Applications in R. Wiley & Sons, New York, USA (link). Flores, L. and De Bock, K.W., 2018, L’analyse des données appliquée à la publicité. In: Allary, J. et Balusseau, V. (Eds. ), 2018, La publicité à l’heure de la data – Adtech et programmatique expliquées par les experts, Dunod, Paris, France (link). Last class of 2018.. presentations of the #SEM projects by the @AudenciaDigital students. Thanks guys! We want YOU to join the marketing department @audencia. Apply now.